Is Your Nail Polish Causing Health Problems? For many people having their nails done is a weekly routine, while other people have them done just for special occasions. So, do you really know what is in the shiny, colorful liquid that is in the beautifully designed bottles, and if it’s safe? There are many ingredients on its label that are hard to pronounce, and are dangerous when exposed to heat, ingested or come in contact with the eye. In the past, it was believed that the chemicals were safe when used correctly. However, a new study has found that women, after 10 hours of applying their nail polish, had Triphenyl Phosephate in their blood. After the first study, the researchers tested 10 different nail polishes for Triphenyl Phosephate. The results found that 8 of the 10 polishes had this chemical in them, and 2 of them that contained the chemical did not have this ingredient listed on the label. This is a bad sign, as this statement could mean that up to 20% of all nail polishes on the market are not listing a dangerous ingredient. The biggest concern about Triphenyl Phosephate or TPHP is that it has been found to disrupt the endocrine system. The endocrine system controls all the hormones in the body. This disruption can affect a person’s hormone regulation, development, reproduction, and metabolism. This is a major problem in young children, as their endocrine system is essential to their growth. TPHP is also known as a neurotoxin, reproductive toxin, skin irritant, and allergen. Along with TPHP, there are four more dangerous chemicals that are usually found in both traditional nail polish and gel nail polish. Toluene is found in just about every nail polish on the market. Toluene is a clear liquid that turns into a sharp or sweet-smelling vapor when it’s exposed to the air. Toluene is a type of solvent, and is used to mix other ingredients within the nail polish. The safe amount based on the findings of the Food and Drug Administration is less than 50% of the mixture. Since nearly all nail salon customers are not exposed to damaging amounts of toluene, the issue is that most nail salon workers are exposed to damaging levels of this chemical. Toluene exposure leads to cracked or dry skin, numbness, headaches, eye or throat irritation. In rare cases, it can lead to liver and kidney damage. Phthalates is one of the common ingredients, which it is said, that nail polishes and other beauty products are free from. Phthalates are a group of oily liquids that help the nail polish from cracking. In high amounts, phthalates have been proven to interfere in the reproductive hormones. Irritation of the eyes, nose, mouth, throat, and skin is also an effect of phthalates. The damage done by this chemical, and rise in concerns about phthalates, has caused many companies to stop using them in their products. Furthermore, the European Union has banned the use of phthalates within the beauty industry. In nail polish, formaldehyde is used to harden the polish, and as a preservative to prevent bacterial growth. The FDA has found that formaldehyde is not harmful, if the amount used is within a safe range. This safe range is less than 0.2 percent of the weight of the polish. If you have had previously allergic reactions or skin irritations after using nail products, you should avoid nail products with formaldehyde in them. Like lipsticks, nail polish, especially shellac nail polishes, have trace amounts of lead and other heavy metals in them. Aluminium and cadmium are two common heavy metals that can be found. Some of these heavy metals are mixed into the nail polish to create a metallic finish. Other metals and lead are not directly added to the nail polish, but come from the pigments that are used to create the color. Lead and other heavy metals can cause learning difficulties, developmental delays, fatigue, headaches, memory loss, mood disorders, and miscarriages or premature births. If you are a person who uses nail polish regularly and chews your nails, you can end up with heavy metal poisoning. 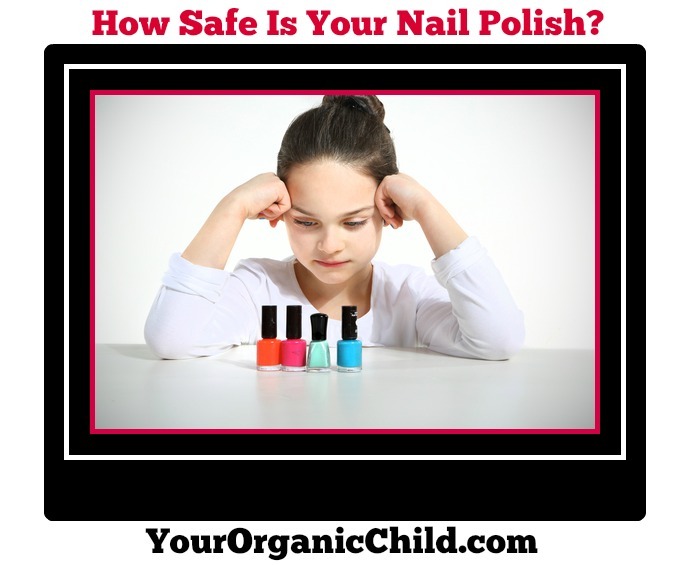 Most people are not at a huge risk of getting lead poisoning from nail products alone. However, if you add it to the other heavy metals like lead that are contained in other beauty products like lipstick and eyeshadow, the amounts quickly add up. Currently, there is research being done on the amount of lead and other heavy metals that women are exposed to in a lifetime. There are many other chemicals found in nail polishes that have a wide range of side effects. Gel nail polishes and shellac nails seem to have many more chemicals that are damaging to both the user, and the nail salon workers. Here are some of the side effects of gel and shellac nail polish. The major ingredient difference between a regular nail polish, and a gel nail polish is that the gel has acrylates and methacrylates. These are a type of polymer plastics that need the ultraviolet light to cure them. The curing of the plastics creates a tough bond which won’t not crack or chip. However, a study was published in Contact Dermatitis that tested both acrylates and methcrylates on over 114,000 patients. In the study, there was a small group of patients that were cosmetologists or nail artists. The study found that 47.1 percent reacted to at least one of the polymers. The symptoms included itching, burning, rash, bumps, and tenderness. The chronic symptoms were blisters, and dry, scaly or cracked skin. This type of dermatitis is not contagious, but it is painful, uncomfortable, and can become infected. Butylated Hydroxyanisole or BHA is another chemical that is found in some brands of shellac nail polishes and gel polishes. This is a synthetic antioxidant that is normally used in the food industry to prevent oils from oxidizing and going rancid. It is also used in many medicines and cosmetics. There are several studies that have shown that BHA intake increases the risk of stomach cancer. There are still studies being conducted about the external use of BHA. Nail polish is not meant to be eaten. However, children and people who put their hands in their mouths or bite their nails should use caution with these products. To cure both gel and shellac nail polishes, an ultraviolet light is used. The process normally involves the application of the pre-mixed acrylic to the nail, then it is cured under the ultraviolet lights. Many times, the nails are placed under the light three times. The time it takes to cure a hand is two or three minutes. This amount of exposure to the ultraviolet light needed to cure the nail polish may seem low, compared to the amount that studies have shown to be damaging. The issue is that it’s the chemicals that you need to worry about when dealing with the ultraviolet light. In 2012, the British Journal of Dermatology published a report about women that developed squamous cell carcinoma or SCC from being exposed the ultraviolet lamps that are used in nail treatments. However, there still needs to be more research done about the risk that women have when they have shellac and gel nails done. The report did recommend that fingerless gloves can lower the risk of SCC when worn during the treatments. Currently, there are studies being released about the health risks of both shellac and gel nails. There are other types of damage to nails that come from having these treatments done. The removal of the polishes is very damaging since soaking the nails in acetone and electrical filing are used to remove the product. Acetone is a very harsh chemical that leads to nails becoming thin and brittle. There are reports that have shown that electrical filling causes nerve damage. While many women do not have the side effects of nail polish during their life span, nail salon workers are the ones who suffer from the health side effects. Much of the research and studies about nail polish comes from nail salons and their workers. 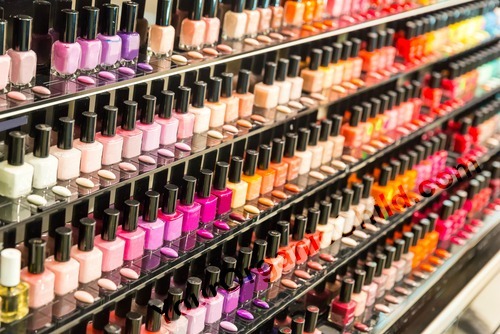 Many will have headaches, skin irritations, and breathing problems from the chemicals that in both the nail polishes and the removal products. Birthing problems are also very common in nail salon workers due to the chemicals the come in daily contact with. Government agencies, like the US Environmental Protection Agency, are researching and outreaching to nail salons to try to make working conditions better and safer for the workers. If you still looking to have a manicure or pedicure done, look for brands that are water based or at the very least free of Dibutyl Phthalate (DBP), Formaldehyde/Methylene Glycol/Formalin, and Toluene, or three-free. Some of the more popular brands of water based nail polishes are Piggy Paint, Honeybee Gardens, and Aquarelle. For children, there is a water based natural line that is available called Piggy Paint. It is available in many colors and is free of formaldehyde, toluene, phthalates, biphenyl A, ethyl acetate and acetone and made in the USA. There is also Fancy Nancy line of colors that girls love. They also make some ‘adult’ colors that also don’t have any chemicals.